Nodes can be assigned to groups, in order to protect a cluster from large-scale infrastructure failure. 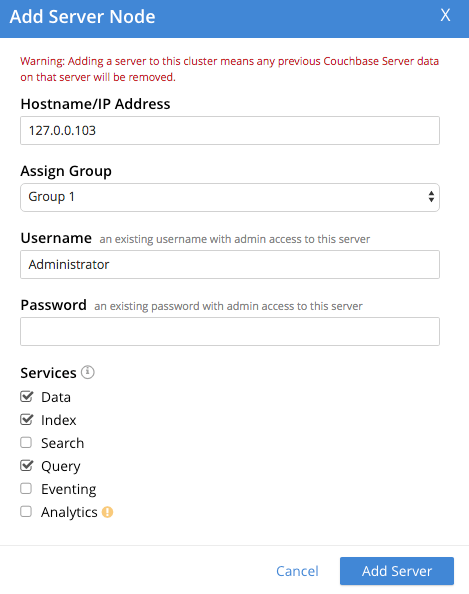 Server groups and the Server Group Awareness feature are only available in Couchbase Server Enterprise Edition. Groups can be administrator-defined to contain a number of the nodes within a Couchbase Cluster, and thereby protect the cluster against large-scale infrastructure failure. An explanation of Server Group Awareness, and the effect it has on the distribution of vBucket replicas throughout a cluster, is provided in Server Group Awareness. When you initialize a new Couchbase Server cluster, the first node is automatically placed in a server group named Group 1. Once you create additional server groups, the Assign Group field becomes available when adding new server nodes to the cluster. 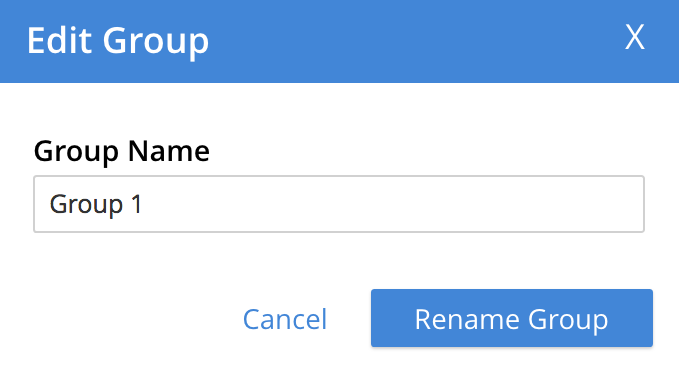 If you wish to change the group name, edit it within the interactive text-field, and then left-click on the Rename Group button. Once the information is entered successfully, a new group is added in the Server Groups page. On the Server Groups screen, access the move to tab at the right-hand side of the row for the server you wish to move. A pop-up menu appears, listing the available groups to which the server can be moved. In this case, there is only one available group to which the server can be moved, which is Group 2. Select this group. A pending move notification now appears. Toward the upper right of the Server Groups screen a Reset tab and an Apply Changes button have become available. If you left-click on the Reset tab, the pending move is cancelled, and the selected server remains in its current group. Left-click on the Apply Changes button to complete the move. Left-click on the Rebalance button, to start the rebalance. To delete a group, first remove all nodes from the group — either by moving them to other groups, or by removing them entirely from the cluster. Then, delete the group. To delete a group by removing servers, proceed as follows. Left-click on the Remove Server button, to confirm. At the conclusion of the rebalance, the server has been removed. Perform server-removal in this way for every server in the group to be deleted, until the group contains no servers. 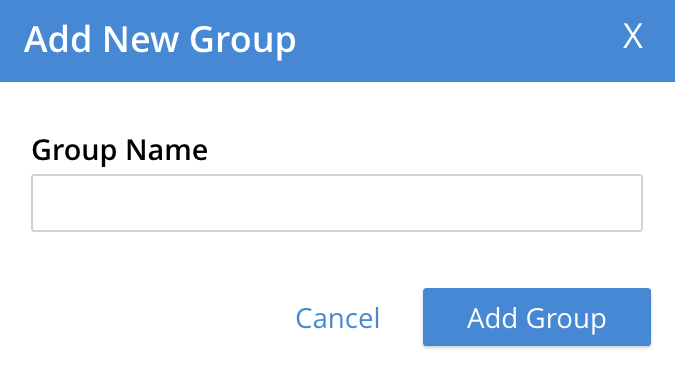 Left-click on the Delete Group button. The group is deleted, and now longer appears as a row on the Server Groups screen. Select one of the existing groups from the controls that are located at the right of the Assign Group field.